As stated in my previous blog article ‘What can the Office 365 “Service Administrator” / “Service Support Administrator” role do?‘, Office 365 tenant owners often use this role to delegate common administrator tasks in Office 365. The Microsoft documentation for the Office 365 Admin Roles is here: https://support.office.com/en-ie/article/about-office-365-admin-roles-da585eea-f576-4f55-a1e0-87090b6aaa9d. So what exactly can a user with the Password Administrator Role do? Although this role is described as being limited to those activities, in reality, in has access to more in the Office 365 Admin Portal, and the MSOnline PowerShell module. 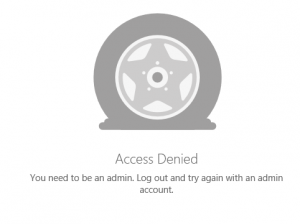 Similarly, there are some Office 365 Application Admin Centers (portals) that can be launched, and some that cannot. A general rule here is that a although user with this administrator role can launch a particular admin center, they are confined to view (read) access, and cannot make changes. Much like the Exchange Admin Center most access is read-only including access. 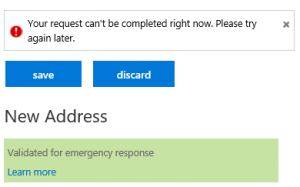 What is not a good experience, is when logged into the Skype for Business admin center as a Password Administrator / Helpdesk Administrator, the portal allows the user to access the edit dialog’s, but then does enforce read-only access when edit’s are saved as shown here when a new “emergency location” was attempted to be added. Similarly to the Skype and Exchange Admin Center most access is read-only including access to Anti-malware, ATP safe attachments, ATP Safelinks, SPAM settings, and Reports. A Password Administrator cannot launch the SPO admin center. Tags: Office 365 "Password Administrator" / "Helpdesk Administrator"